In this study, customer data used to produce the visual displays came from data (fictitious Office Supply Company) extracted from Salesforce.com. Tableau Desktop Professional Edition was used to produce these displays. 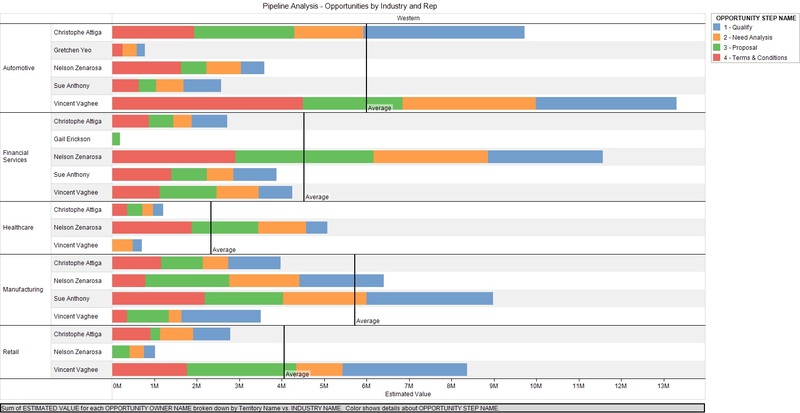 The study compares and contrasts Salesforce.com screen and standard reports to the visual analytical outputs from Tableau. The objective of this study is to show how sales can use a data visualization application to better understand the sales pipeline, adjust marketing efforts, and optimize the sales cycle to reach a competitive advantage. These capabilities for the sales force can be realized in real time to improve sales performance.